Thanks to the wonderful leadership of our Board Vice Chair, Joel Field, TFC was proudly awarded a Community Impact Grant from New York Life. The Community Impact Grant program awards grants to local nonprofit organizations championed by New York Life agents and employees to serve the needs of their local communities. TFC’s most recent Community Impact Grant will support our legal and social services for caregiver-headed families, or families in which the biological parents are not present to care for the children in the home. This marks the second year in a row that TFC client families have benefited from New York Life’s generosity and Joel’s efforts to secure a Community Impact Grant. 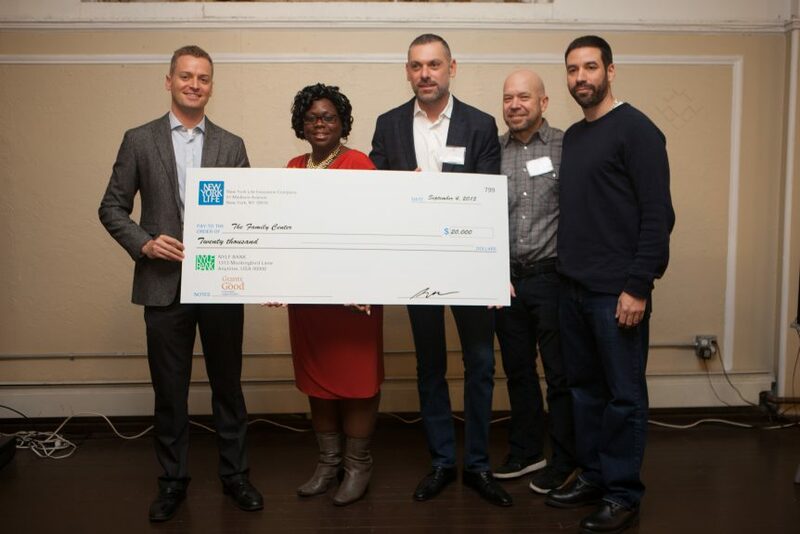 A photograph of last year’s check presentation, which took place at TFC’s Thanksgiving for client families, is featured above. TFC is grateful to New York Life for investing in our work and encouraging Joel’s leadership of our agency and his continued commitment to bettering the lives of our client families. Read more about his experience working with TFC and the important role that work has played in his life.